I love traveling to new places and stumbling into unexpected encounters with art. It’s my favorite form of professional development And so, on a recent trip when our airbnb hosts recommended a documentary film screening at the local college, I listened. 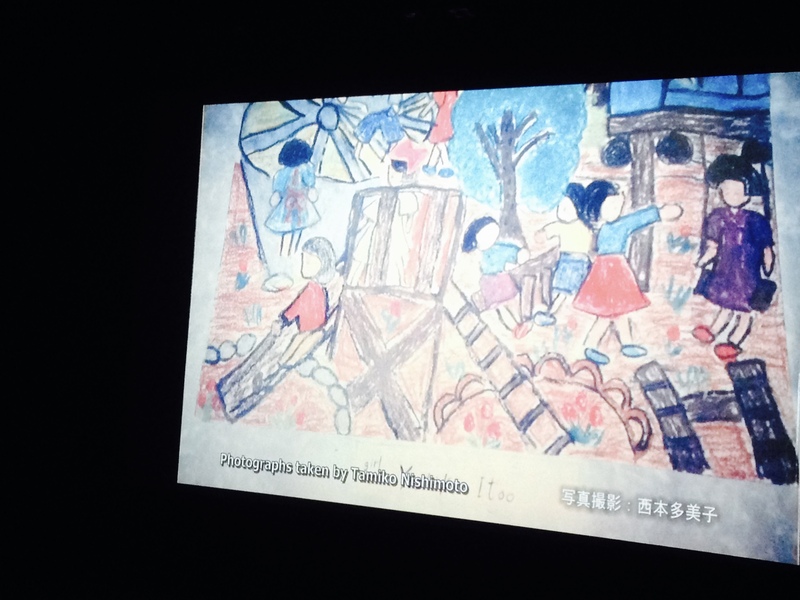 Their description of Picture from a Hiroshima Schoolyard sounded too close to my interests to ignore; a movie about drawings sent between American and Japanese children after the bombing of Hiroshima. Dan was convinced as well and so we wondered our way through the city to the small, urban campus of Colorado College (est. 1918). It reminded me a lot of my own alma mater, right down to the socially engaged subject of the film. 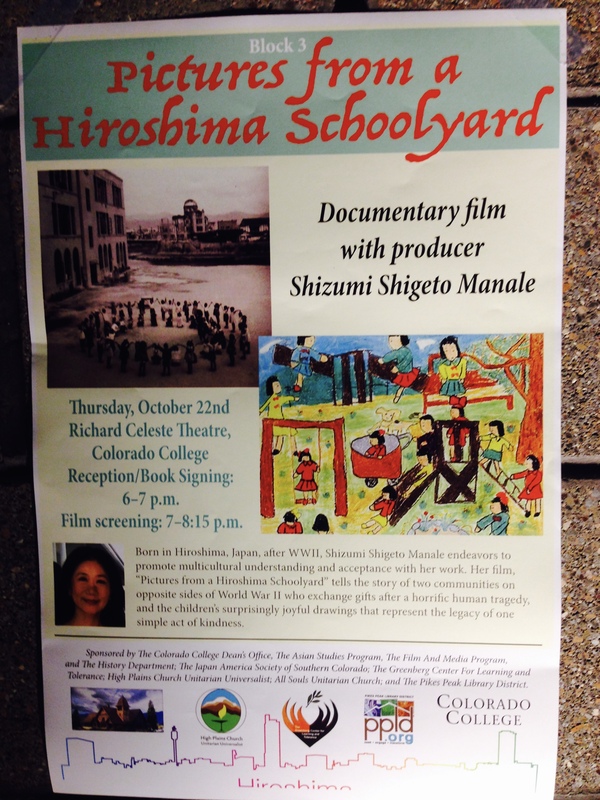 A poster for the Colorado College screening. 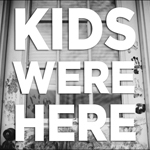 Like it’s subject, Pictures from a Hiroshima Schoolyard bounces between interviews with current and former members of the Unitarian church in Washington D.C. that started the cultural exchange and the Japanese students who made the drawings, and are now in their 80s. There is a sense of urgency to the stories they tell – not in their presentation, but in their ability to share them at all, so many years later. They were among the survivors of an attack that leveled an entire city. Going to school was their salvation and the art supplies they received from the children of All Souls Church helped them along the way. The images they drew were not dark and dreary, they were bright and cheerful. You can see them on the film website. They depict the Hiroshima of their memory and their future dreams rather than the devastation outside. Cherry blossoms and grassy fields, rivers and bridges, temples and, of course, playgrounds. It’s amazing that these drawings were preserved for so long and it’s amazing to hear the stories they evoke from those who made them and those who saved them. I recommend this film for those who believe in the power of art in fostering intercultural dialogue. It is also a powerful story of how art can provide a therapeutic outlet for those experiencing trauma. And it is a testament to the value of art in authentic and inadvertent historic documentation. But the thing I left thinking about most was how this film spoke to Benjamin’s ideas about The Work of Art in the Age of Mechanical Reproduction (1936). Benjamin argued that images loose something inherently meaningful when they are copied – he wrote of photography and film and the idea of the Internet and camera phones would have blown his mind. As Pictures unfolds, the former Japanese school children often appear with cheap copies of their drawings, presumably supplied by the filmmakers and interviewers. But when they set their eyes upon the original works, sparks fly and tears roll, on the screen and in the theater. For these viewers, these drawings possess an aura, a unique sacredness tied to the context in which they were creation and the very paper on which they were made. Can a selfie ever hold that much power?